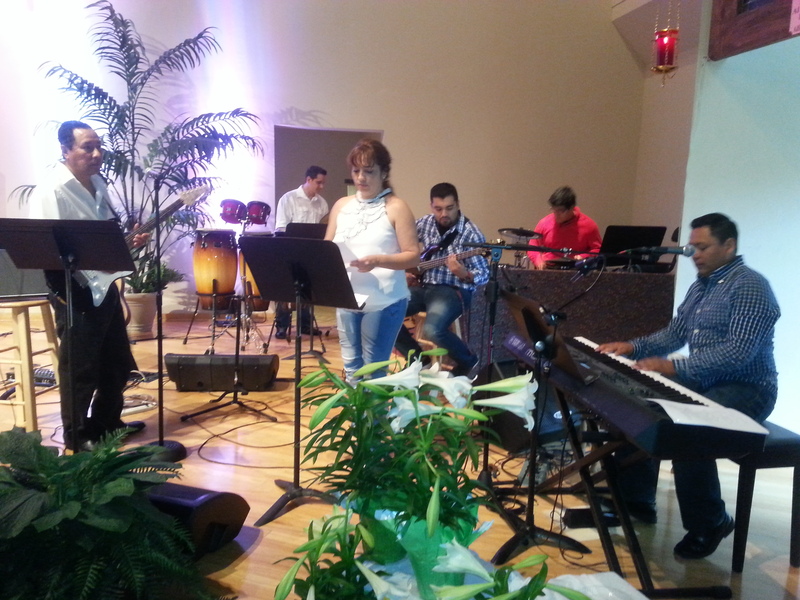 Easter at Amigos en Cristo, Bonita Springs was awesome with special music, children’s message, resurrection message, fellowship and way above average attendance. We are blessed. 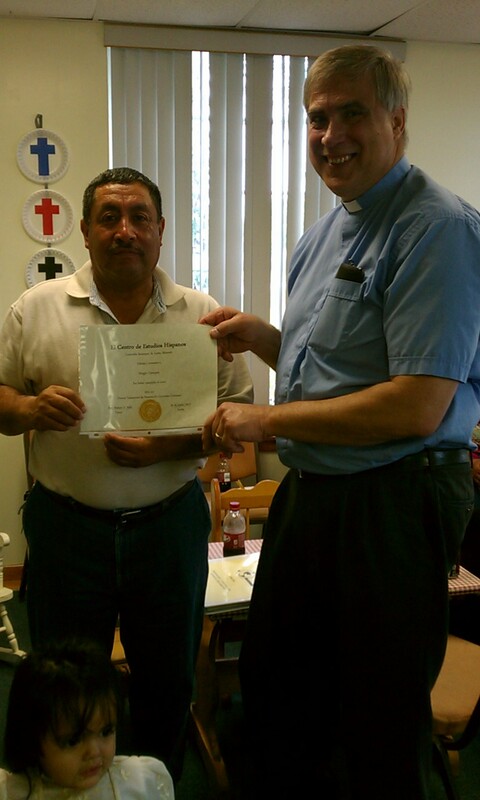 Pastor Selle presents Immokalee Lutheran Church member Sergio Campos with his certificate of completion of Christian Doctrine course with the Center for Hispanic Studies, Concordia Seminary, St. Louis, MO. 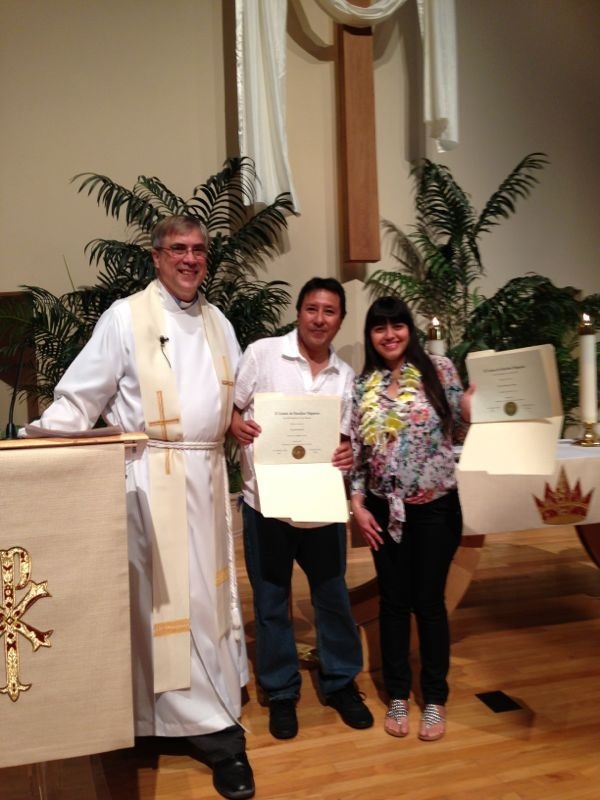 Eileen Rujana-Ortegon and Reynaldo Bernal of Bonita Springs also received their diplomas for completion of their Church History course. This is an important way to prepare church leaders in the Hispanic church. 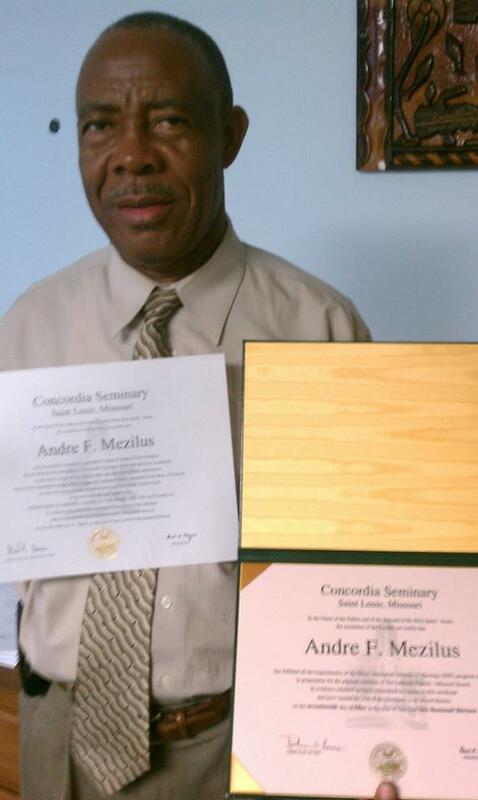 Andre Mezilus is pictured with his Theological Diploma and Certificate of Completion of Theological Studies at Concordia Seminary. Andre has received a divine call from Amigos en Cristo to serve as pastor of our Immokalee Haitian Church. 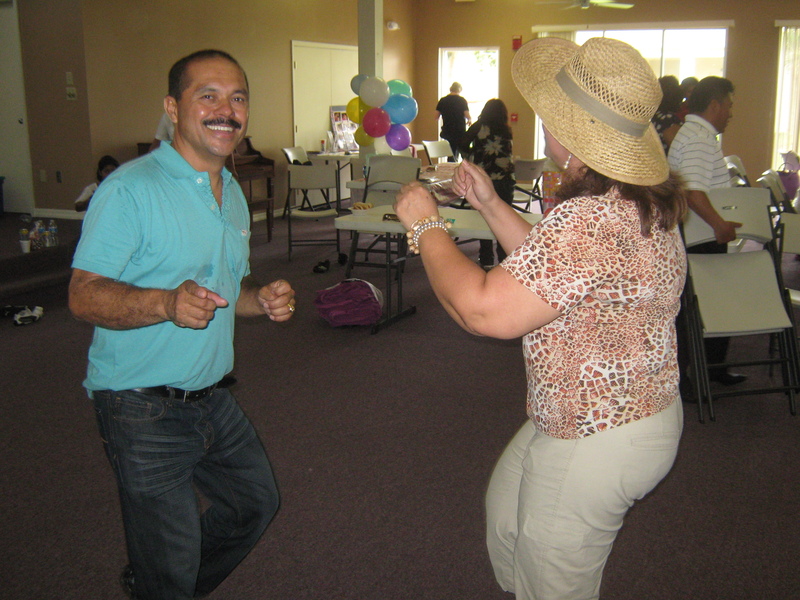 He will be ordained and installed into the pastoral office at 4:00 PM on August 18, in Immokalee. Please come and be a part of our history. investigates any reported violation of our employee policies. Amigos is doing a tremendous job of reaching out to those in need. We are especially impressed with the dedication of Karl and his volunteers. We are so impressed with the organization and enthusiasm and dedication of all of the personnel involved with Amigos en Cristo. The report at the annual luncheon is always so informative and encouraging. We always comment on how motivated we are to give simply because we actually know what you are doing with the funds. Not that we give so much :), but if I had more I would! God Bless your efforts! Thank you to all of you who make this ministry of changing lives possible.Marisol, Case Worker in Bonita, shared how one day, three of the many clients stood out in her mind. One man came in shaking, desperate and scared as he was given child enforcement letters. He thought he was going to be arrested and sent to jail. He had been paying child support and didn't understand the benefit of going through the legal system. Another man came in who was scared and desperate, thinking he would never see his three kids again. He was being falsely accused for domestic violence and he needed a lawyer he couldn't afford. An American woman also came in scared, lost, and hopeless as she lost her job and was being evicted. She felt as if there was no hope and didn't know what steps to take. All of these cases, though different, shared a common thred of fear, desperation, and hopelessness. Besides all the practical help Marisol gave to help get these individuals, she also prayed with them, shared with them hope from God's Word, and encouraged them to get involved in a local church. At the end of the day, Marisol thought about how the hope we have in Jesus is the most important thing to help any of us through every day life. 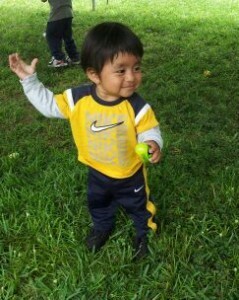 This is the hope we give to the individuals and families we serve every day at Amigos en Cristo. 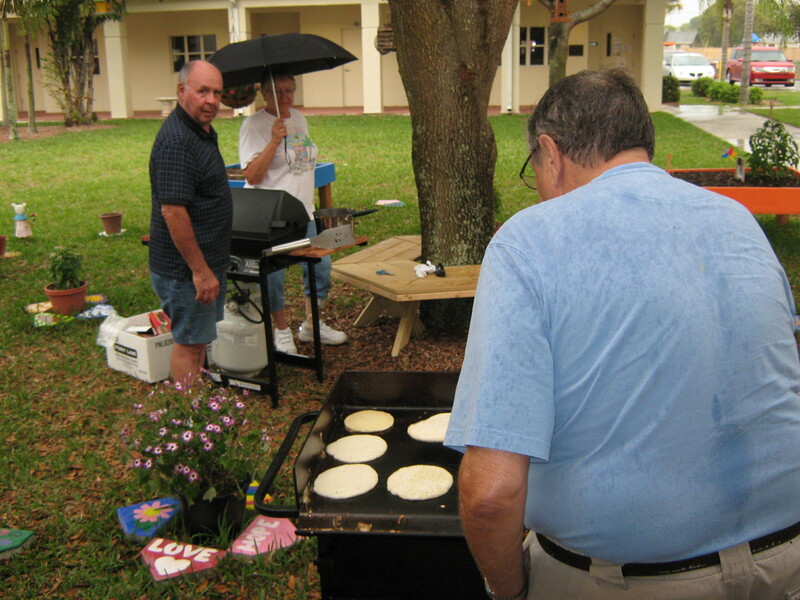 The Elders of Hope Lutheran Church in Bonita Springs hosted a Shrove Tuesday Pancake Supper fundraiser to help support the work of Amigos en Cristo. Over a hundred people participated in spite of the rain. Thank you Hope Lutheran for your continual support of the ministry and for finding unique ways to give back to the community. Although it’s great to think of our pass successes, it is also important to cast the vision for the future. There are endless opportunities for expansion of the ministry, and to reach more families and impact the community in a greater way, there will be a team working together to design an achievable action plan. It will be a lot of work and will require a lot of prayer and planning as well as the time, talents and treasures of everyone involved with the ministry. Today, Sarah Owen led a group of leaders in the Amigos en Cristo ministry to begin the conversation and to think through the strategic plan for growth. Although growth is challenging, it is extremely exciting. If you want to know more about the vision for growth and expansion of the ministry, contact Pastor Robert Selle or Leah McCann for more information. First Communion is a very important rite of passage in the Latin and South American countries. Amigos en Cristo strives to serve the needs of the whole person: mind, soul and spirit. 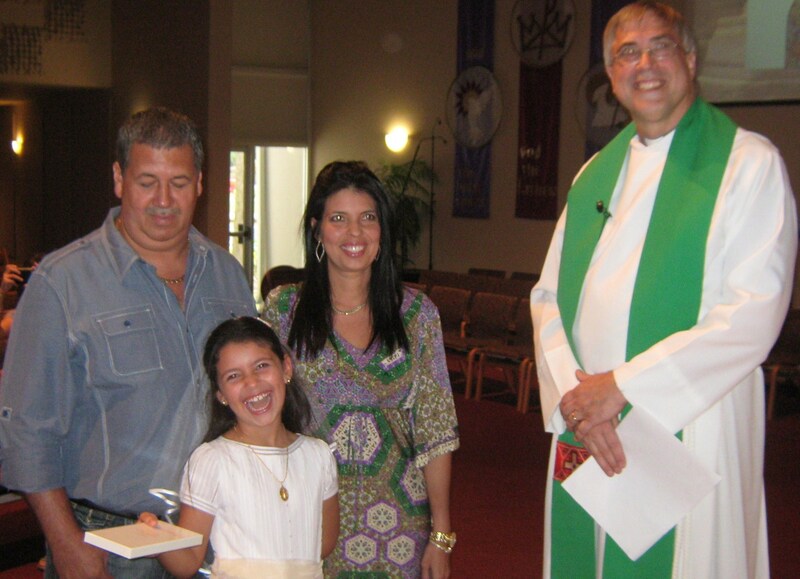 On Sunday, October 2, Khamila Pérez-Abrajim, joyfully celebrated her first communion through the ministry of Amigos en Cristo Lutheran Chruch, Bonita Springs. 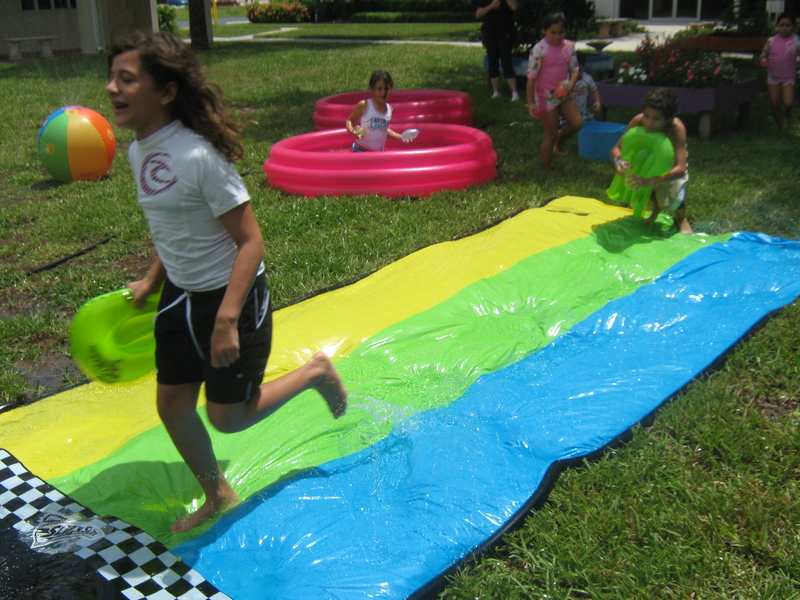 On August 7th, Amigos en Cristo Lutheran Church in Bonita Springs held a Family Festival after worship services. It was a special occasion to invite friends and family to church. 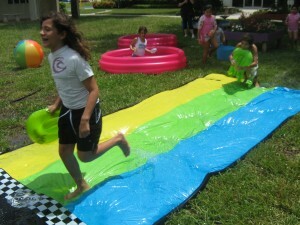 The festival featured live music, children’s water park activities, food, dancing, and games. 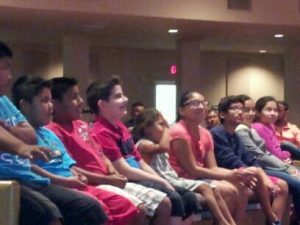 Families could also enroll in our Marriage Enrichment Program, first communion classes and baptism instruction for children. 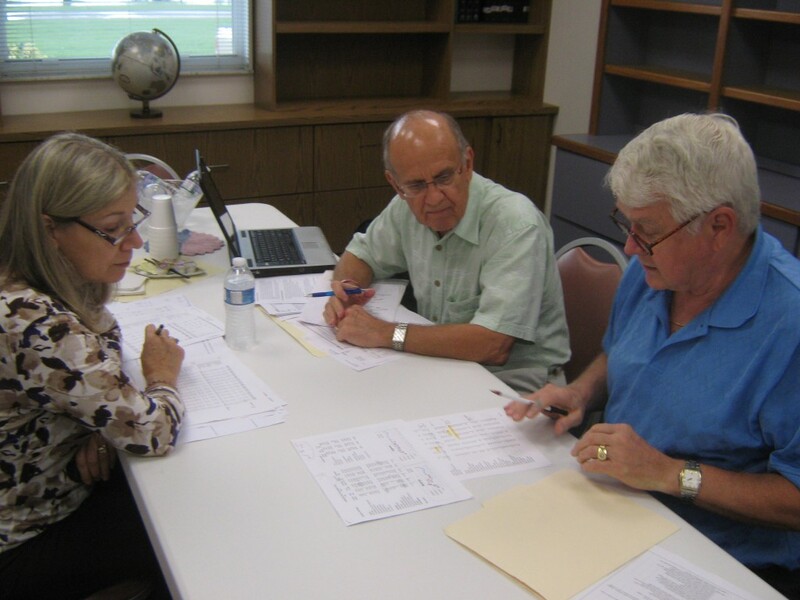 Members of the committee are (pictured left to right) Pat O’Donnell, (owner of O’Donnell Landscapes, board member of Amigos en Cristo and former chairperson of the United Way of Lee County Campaign Drive); Tom Cioper (Former president of Zion Lutheran Church, Fort Myers and retired Major Account Manager of Motorola Semiconductors); and Denny Brown (retired CFO/CEO of Owens Illinois Latin American Division, former volunteer Financial Consultant for Amigos Center and long time community volunteer). 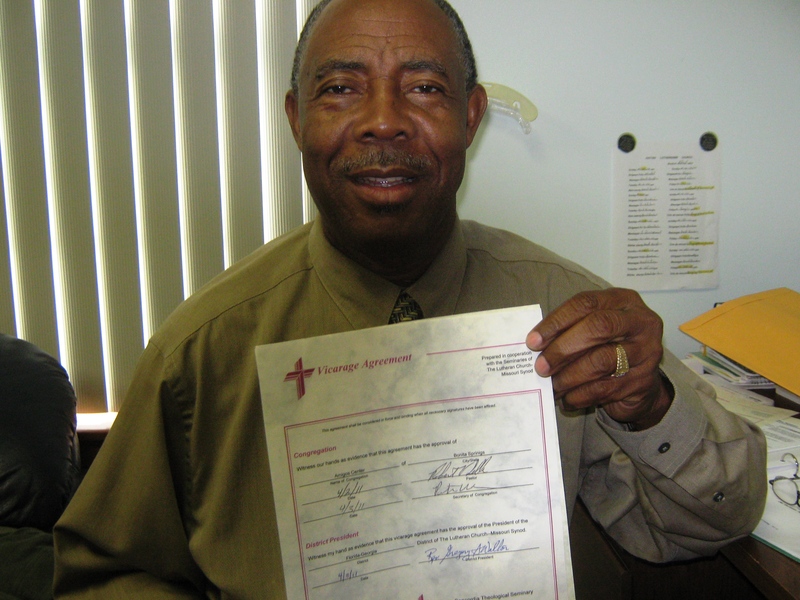 Andre Mezilus, our Mission Developer for Haitians in Immokalee, received his vicarage assignment from the Lutheran Church-Missouri Synod on July 20, 2011. 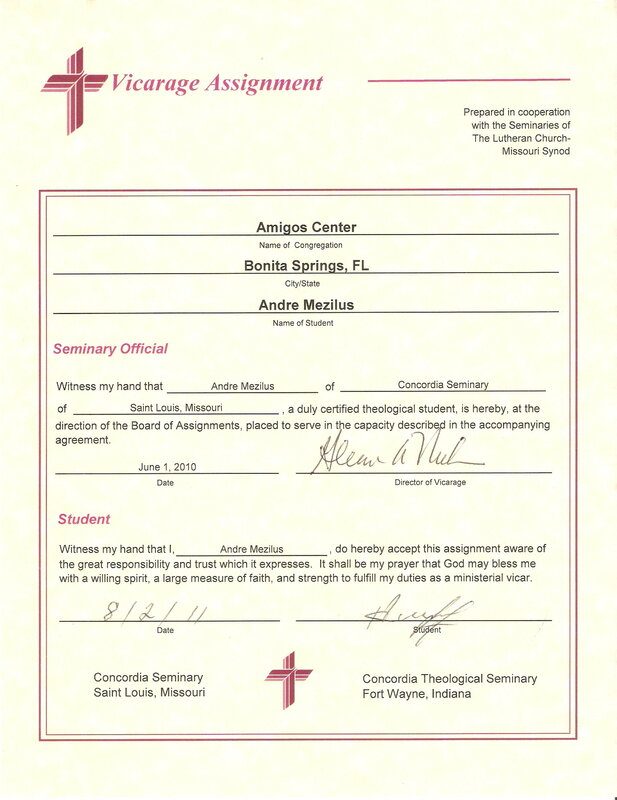 Concordia Seminary, St. Louis, issued Andre his vicarage assignment during a special service at the Chapel of St. Timothy and St. Titus located on the seminary campus. 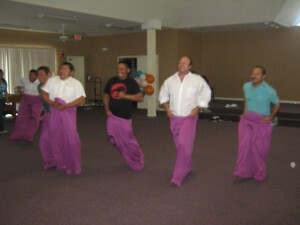 Four other Ethic Immigrant Institute of Theology (EIIT) students received their divine calls during the same service. Andre has successfully completed 11 of the 16 EIIT courses required to graduate. Upon graduation, Andre will receive his Theological Diploma from Concordia Seminary, thus making him eligible for a divine call into the ministry of the Lutheran Church-Missouri Synod. Recently retired LCMS pastor Steve Hess began serving as Andre’s mentor during this past summer semester. As part of our Amigos en Cristo pastoral staff, Andre is a key person in our vision to establish three Haitian Lutheran Churches in Southwest Florida by the year 2013. We envision these churches to be in Immokalee, Naples and Fort Myers. Also key to our vision is our second Haitian worker, Saint Luc Charelus. 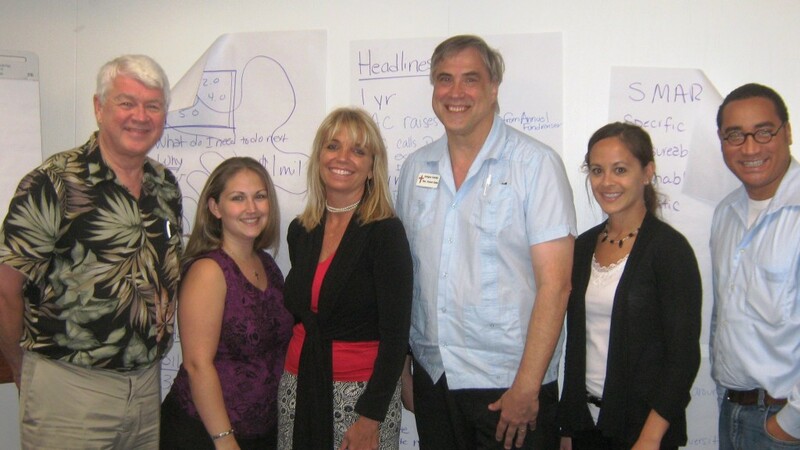 Saint Luc begins his theological studies with the Ethic Immigrant Institute of Theology on August 30, 2011. His mentor will be Rev. 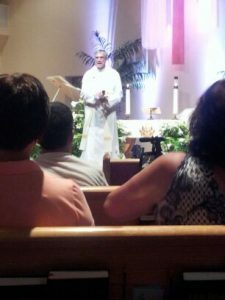 Richard Browning, Hope Lutheran Church, Bonita Springs, FL. A grant from the Zimmer Family Foundation of Sarasota, FL is underwriting a portion of the theological studies of Andre and Saint Luc. Thank you to all of you who make this ministry of changing lives possible. Marisol, Case Worker in Bonita, shared how one day, three of the many clients stood out in her mind. One man came in shaking, desperate and scared as he was given child enforcement letters. He thought he was going to be arrested and sent to jail. He had been paying child support and didn’t understand the benefit of going through the legal system. Another man came in who was scared and desperate, thinking he would never see his three kids again. He was being falsely accused for domestic violence and he needed a lawyer he couldn’t afford. An American woman also came in scared, lost, and hopeless as she lost her job and was being evicted. She felt as if there was no hope and didn’t know what steps to take. All of these cases, though different, shared a common thred of fear, desperation, and hopelessness. Besides all the practical help Marisol gave to help get these individuals, she also prayed with them, shared with them hope from God’s Word, and encouraged them to get involved in a local church. At the end of the day, Marisol thought about how the hope we have in Jesus is the most important thing to help any of us through every day life. This is the hope we give to the individuals and families we serve every day at Amigos en Cristo.